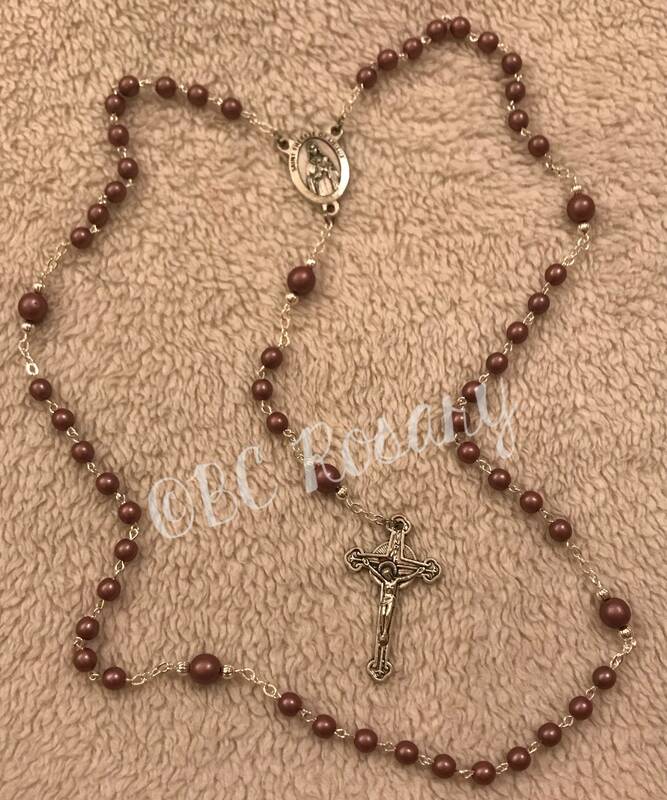 Rose pearled 6mm beads set off this beautiful rosary. 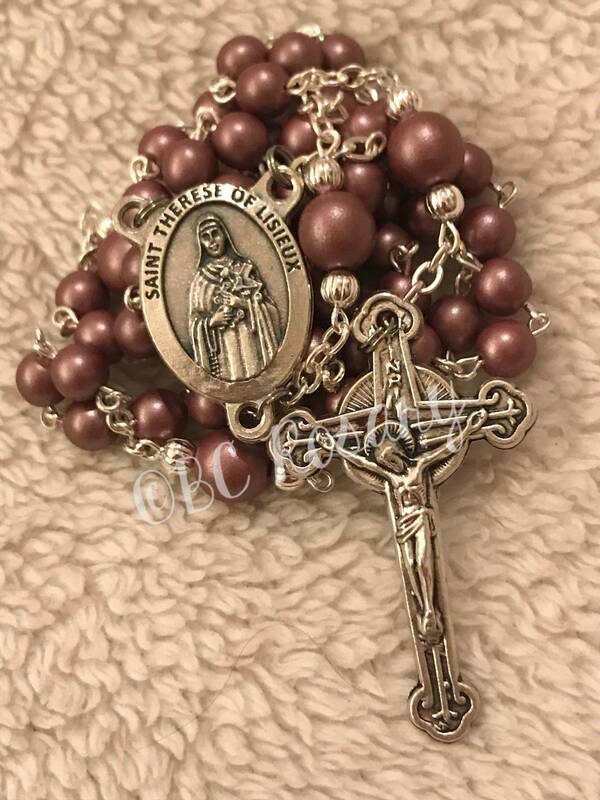 The Our Father beads are 8mm surrounded by 3mm bright silver accent beads. 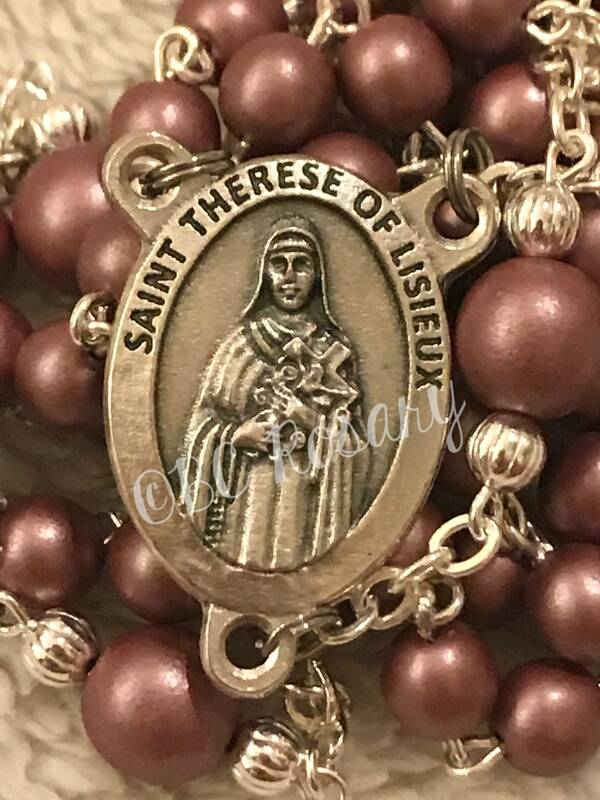 The centerpiece features Saint Therese of Lisieux. 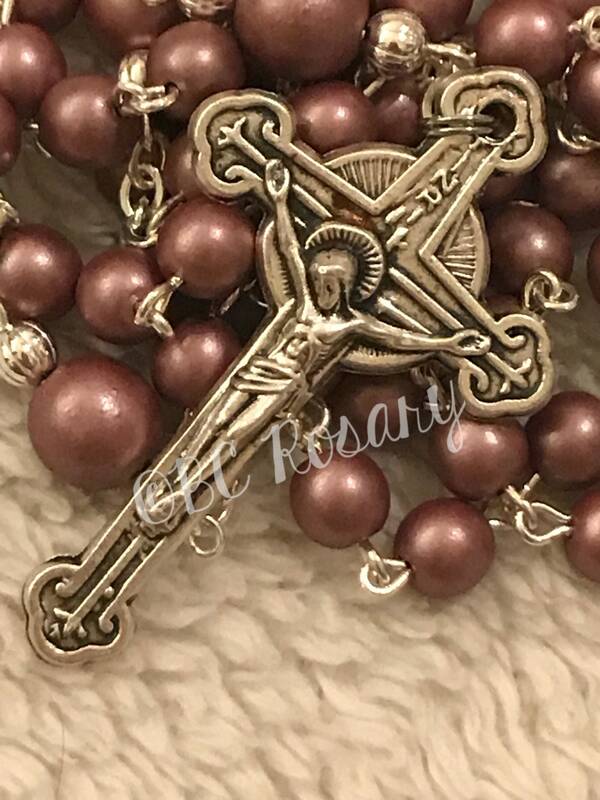 A detailed crucifix finishes this piece.